Konami today finally revealed the full list of differences between PES 2015 for PC and the PES 2015 version for the two current consoles PS4 and Xbox One. 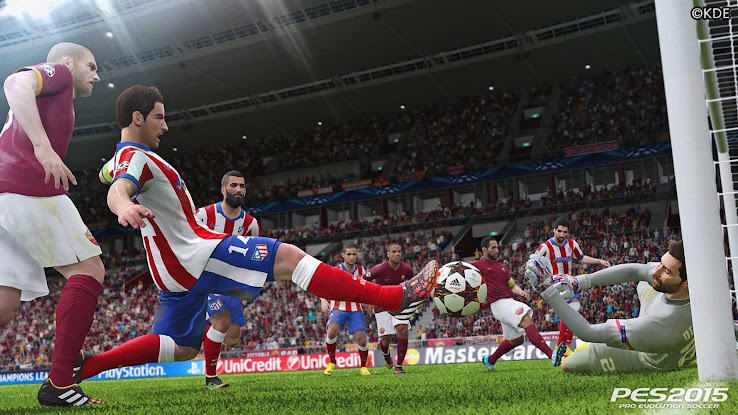 In a Facebook reply to a question of a user, the official Pro Evolution Soccer account revealed a full list of improved graphic specifications for PES 2015 on PS4 and Xbox One. Today's reveal seems to confirm the previous statements by PES Brand Manager Adam Bhatti that the differences between the versions were only graphical. Here's the full list of (visual) features that are on PES 2015 for PS4 and Xbox One, but not on PC. Konami went on to add that "gameplay, animations, modes etc etc exactly same." From the look of that list we can expect PES 2015 on PC to look almost identical to PES 2014, which isn't a bad thing at all, albeit it's quite dissapointing we won't see the new dynamic lighting system - at least for this year. Even though the list was only posted in a Facebook comment, it appears trustworthy as we have seen images from the PES 2015 PC version and it didn't look all that bad.